Bring a fresh look to your game with the MYSTIC soccer jersey. The two color triangular shoulder inserts offer a touch of sleek flair , while the polyester/ spandex blend wicking pinhole mesh wicks moisture away from the body to keep you cool and dry. 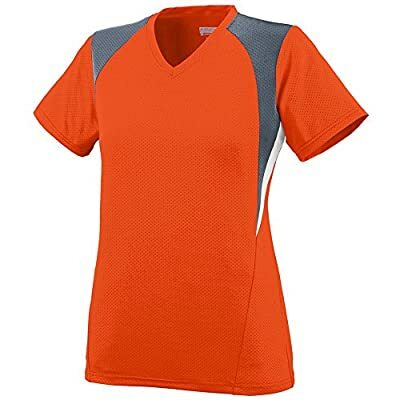 The V-neck collar is flattering and flexible, so you'll look and feel great on the field. The double-needle hemmed sleeves and bottom make this durable lacrosse jersey a lasting essential for your active-wear wardrobe. Also available in Girls' Style 1296.